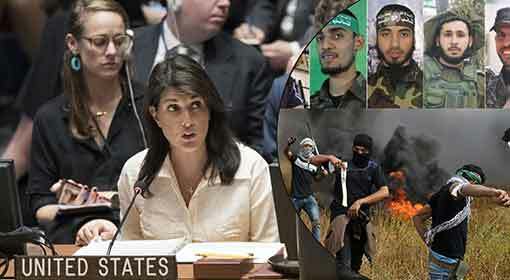 New York: The US Ambassador to the United Nations, Nikki Haley expressed strong displeasure about the United Nations (UN) position saying that, ‘The United Nations has never held a terrorist organisation like Hamas responsible for the violence in the Gaza Strip and criticising Israel has become a part of a political game for the members of the United Nations.’ On Wednesday, Turkey and Algeria moved a resolution against Israel at UN which was passed with a vote of 120 against 8. Nikki Haley also severely castigated the United Nations’ policies. 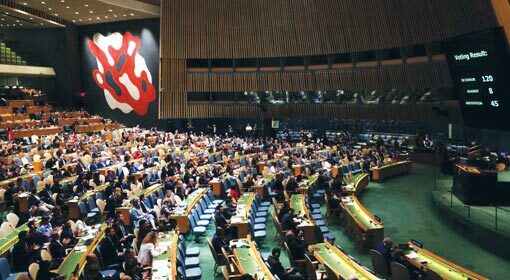 On Wednesday, Palestine, Turkey and Algeria moved a resolution in the General Assembly of the UN, strongly denouncing the Israeli action in Gaza. 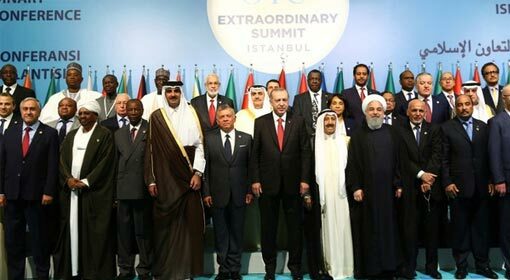 The resolution moved by the Arab and Muslim nations was passed with a vote of 120 in favour and 8 against while 45 countries did not attend the voting. The United States took a stand saying that the resolution about Gaza cannot be complete without the mention of Hamas in it. 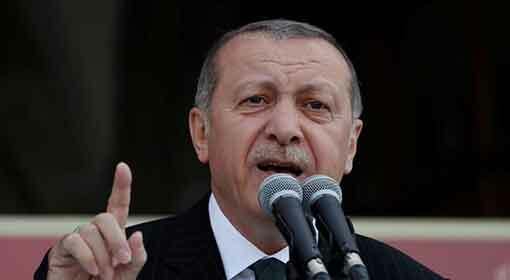 US Ambassador Nikki Haley proposed an amendment to the resolution moved by Turkey and Algeria. 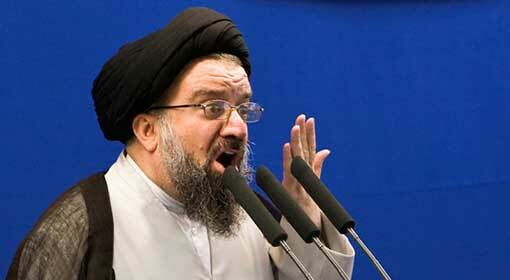 While also launching a strong attack on the stance of the United Nations. ‘The resolution moved is biased. There is no mention of Hamas, who are frequently involved with violence in Gaza. Hamas and its affiliate groups have carried out more than 100 rocket attacks in Israel in the last month. Hamas is consistently threatening to annihilate Israel. But none of this is mentioned in the UN resolution,’ Nikki Haley lashed out at the United Nations in these words. 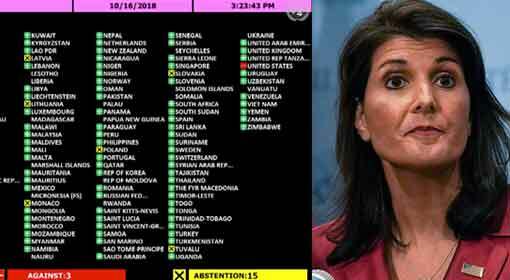 The US Ambassador also appealed to the UN members that they should support the amendment proposed by the United States, since this was a chance for the UN to correct its mistake. A vote for acceptance of the amendment was taken and it won a marginal majority of 62 against 58. 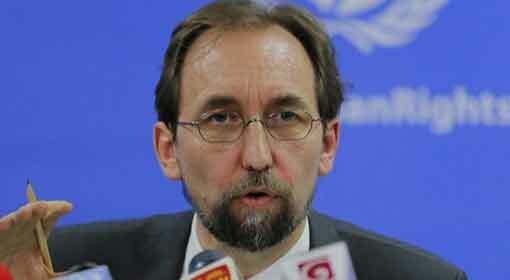 However, the United Nations rejected the amendment under the pretext that it could not win a two-thirds majority. Since the last few months the United Nations has taken a harsh stance against Israel, and both, the United States and Israel have given very strong reactions against this. 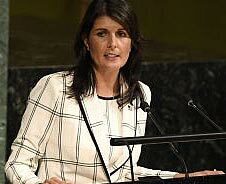 The United States had criticised the UN previously as well saying that while the members of the United Nations reprimand Israel for its actions in the Gaza Strip, they turn a completely blind eye to the activities of an extremist organisation like the Hamas. 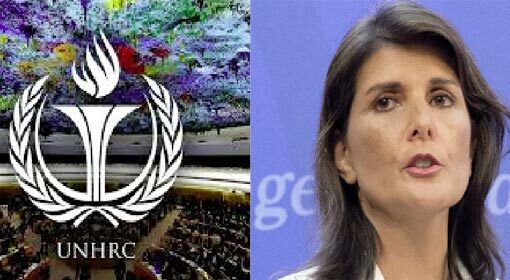 US Ambassador Nikki Haley retorted to the UN stating that the United Nations is losing its credibility as a result of its biased attitude towards Israel. However, Israel has already made it clear that no matter how many resolutions are passed against it in the UN, they will make no difference on the Israeli actions and policies. 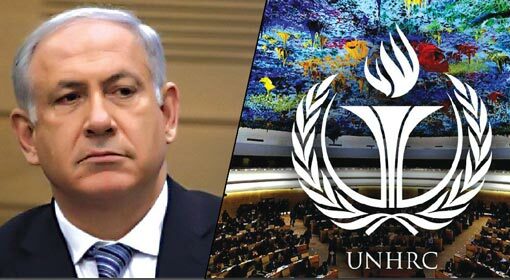 Therefore, the possibility of this resolution passed in the United Nations having any effect on the policies of Israel and the United States, currently seems remote.